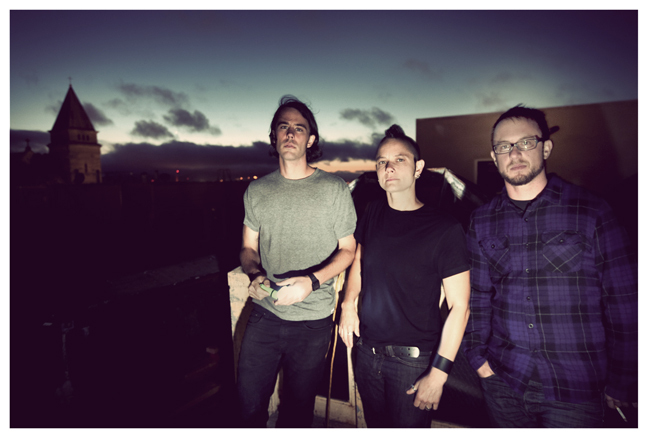 The San Francisco based trio, Let Fall the Sparrow, is made up of Lilly Pritchard (bass/vocals), Daniel Lemke (guitar) and Jesse Freidin (drums). Their sound is both ethereal and driving, moving between quiet melodic moments and intense sonic builds. All three members are originally from the East Coast but met in San Francisco. Daniel and Lilly (The Monsoon, Dead As Dillinger, Idiosyncrasy) met while playing jazz together. After writing rock-influenced compositions together, Daniel and Lilly decided to bring in a drummer. Jesse (Sally, Ex Post Wave) was added to the mix, becoming a crucial element of their current sound. Let Fall the Sparrow recorded and mixed their first EP at Oakland’s 25th Street Studios in July and August of 2011. It was mastered at Paul Stubblebine Mastering in San Francisco in October 2011. The EP was released in early November 2011. Email us for contact and booking.